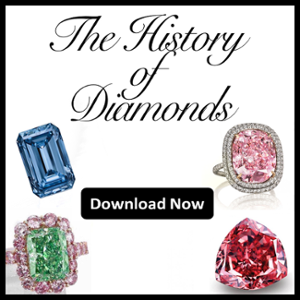 Typically, colored diamonds get their hue from chemical impurities such as boron, nitrogen, or hydrogen. Black diamonds get their color from dark inclusions like graphite, and the smokiness from structures within the diamond that affects the reflection of light. 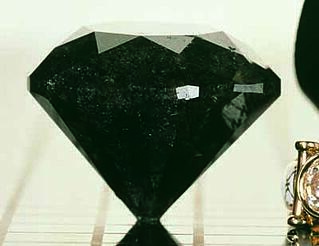 Here are a few of the most famous black gems ever to be unearthed. The Spirit of de Grisogono weighs a hefty 312.24 carats, making it one of the largest diamonds in the world and the second largest black diamond ever found. 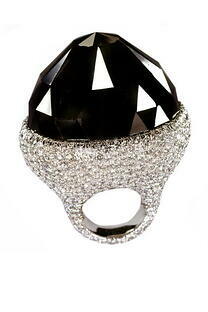 This gem is part of a famous black diamond collection by the illustrious Swiss jeweler Fawaz Gruosi. 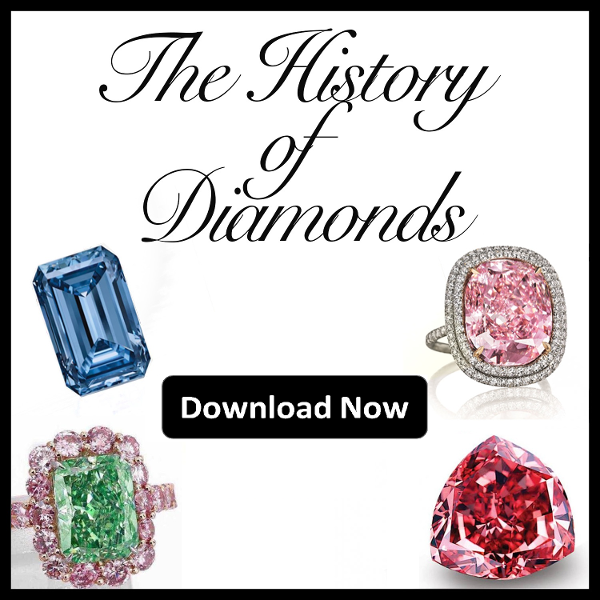 Gruosi is the owner of the luxury jeweler company, de Grisogono, who cut the 587-carat rough diamond to the shape it is today. Found in the mines of Central Africa, The Spirit of de Grisogono found its way to Switzerland where Gruosi carefully shaped the diamond using a historical Moghul cutting technique. This method has been utilized throughout history since being used on famous diamonds that originated in India during the Moghul period. Today, this stone sits on a 36.69-carat ring with over 700 studded diamonds. Having one of the best and most expensive black diamond collections, Fawaz Gruosi bought another black stone in 1998 from India. this one weighing 300.12-carat in its rough. After 3 years of cutting the 300.12 carat rough diamond emerged as the 115.34-carat Gruosi Diamond. The typical diamond cutting process does not take this long, however the Gruosi Diamond, and many other black polycrystalline diamonds, feature an unequal amount of hard and soft areas. Certain spots were very fragile, while others were extremely hard. As such, the diamond had to be handled with steady and patient hands. 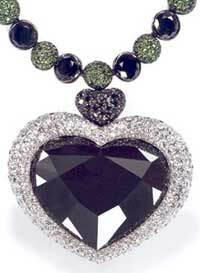 Today, the heart shaped black stone is the centerpiece of a necklace set in white gold with 58.77 carats of smaller black diamonds, 378 white diamonds, and 14.1 carats of tsavorite garnets. The Korloff Noir Diamond is a beautiful 57 facet black gem, weighing 88-carats that is currently owned by the Korloff Jewelers of France. Legend has it the Korloff diamond brings happiness, luck, and prosperity to whomever touches it. This diamond demonstrates a new type of diamond cut, known as the Korloff-cut. The octagonal shape has 65 facets, with only 24 on the pavilion and the remainding 41 on the crown. The benefits of the Korloff-cut allow the most amount of light to enter the stone, enhancing the brilliance and shine of the diamond. And there you have it. The 3 most historic black diamonds in the world. 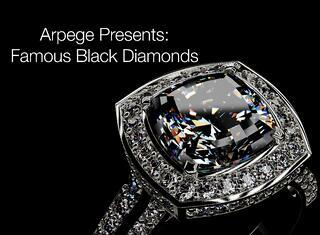 Have you heard of any black diamonds that might fit our list? Do you have any questions about black diamonds? Let us know! And as always feel free to follow us on Twitter and LinkedIn.